I hear this root veggie is a lot like potatoes. Let’s see. 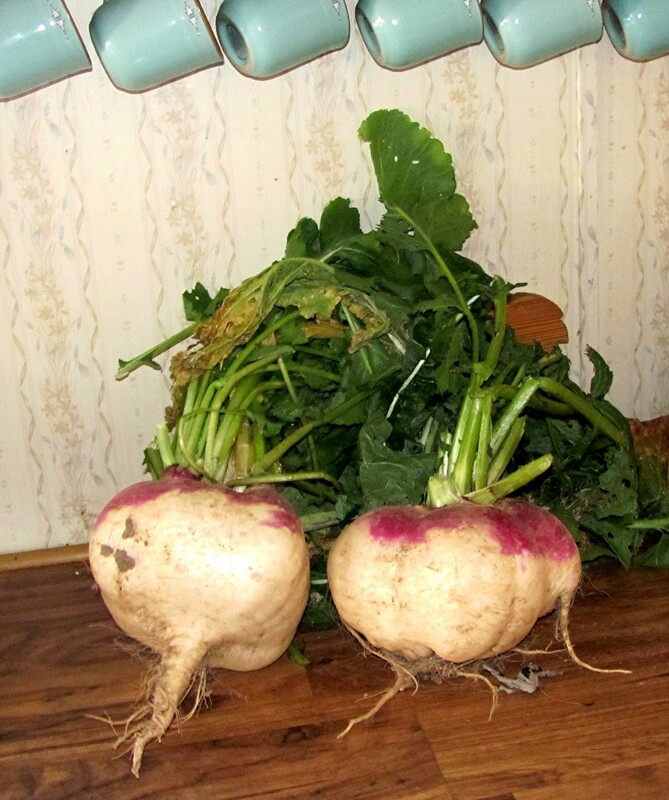 This entry was posted on November 26, 2012 at 11:52 am and is filed under Uncategorized with tags Turnips. You can follow any responses to this entry through the RSS 2.0 feed. You can leave a response, or trackback from your own site. The flavor is more pungent than potatoes. Some people boil and mash them like potatoes, but the only way I like them is added to stew. Di, peel and cut them up into small chunks. Toss them with a little olive oil and some herb seasoning and roast them in the oven til fork tender. Don’t cover them. They take on a mild sweet taste this way. Can you get blood out of them?? ?